A drogue is a device that enables you to moderate the drift speed of the boat. This drifting technique originated on the reservoirs in UK and Ireland. 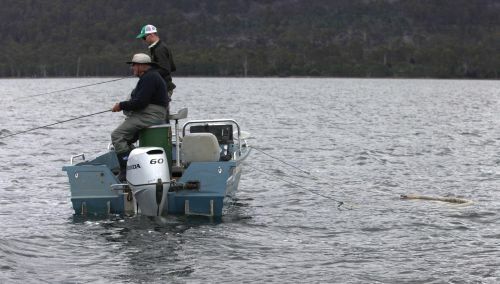 The lakes of these countries are very much like ours in Tasmania and if the fish are hard to locate there is no better fishing technique than this as it enables you to cover large areas of water in a controlled manner. 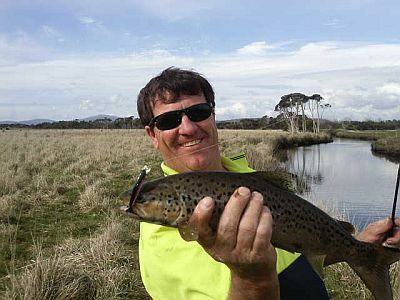 Jim Allen, has fished Tasmania’s highlands for 40 years and shares his thought on drogues. What a great day it was for the last day of the 2013-14 Trout Season with clear skies and hardly a breath of wind. Certainly glad it was the reverse of yesterdays gale force winds and freezing conditions and 9 degrees. I decided to head on back to the Dasher River for the last day as it fished fairly well two days ago and had a reasonable amount of water flow to it. 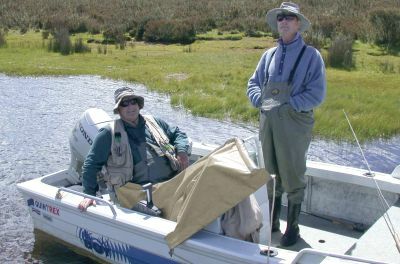 My wife and I were fishing with friend/guide Dean Whaanga in New Zealand when a combination of bad weather and good timing resulted in a fish giving us the experience of a lifetime. Click Read More for full sized pictures. We are delivering equipment up to the Musselroe wind farm at the moment and there are so many streams on the way. So starting today, and every other day I go, I will slip the rod in. The chosen river this time was the one that runs into Bridport, it wasn't long before we had a fish on the bank, caught on KW galaxia. Once in a lifetime an angler may be lucky enough to catch a trophy fish, if you’re even luckier you may get more than one. When you catch this fish your faced with the question of what to do with it. 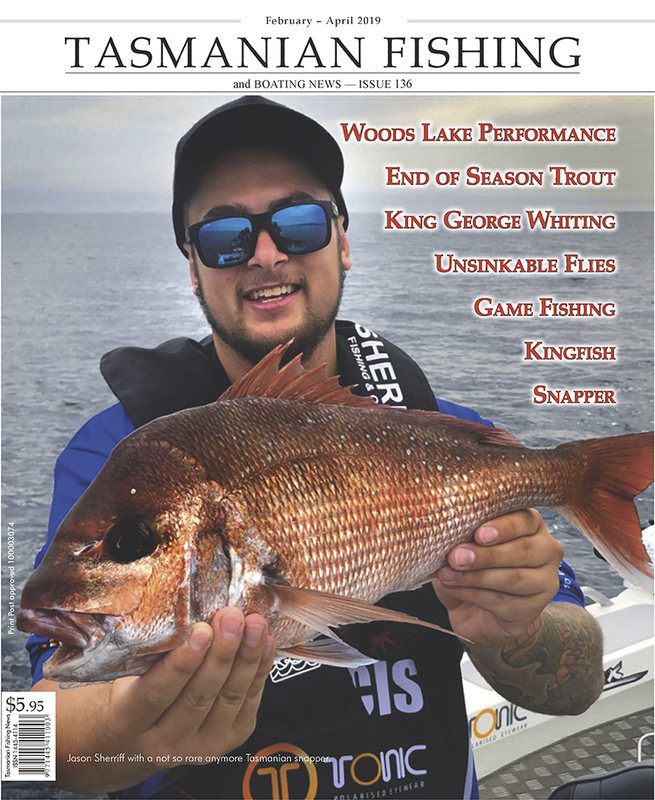 In today’s age of catch and release many anglers would choose to release a big fish but there’s nothing wrong with having the fish mounted for your wall. display ripping line off the reel. 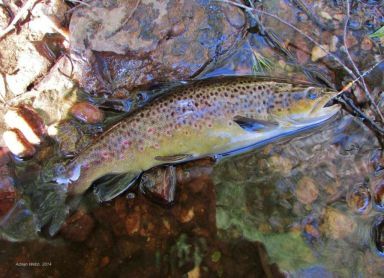 With one month of the regular ‘brown trout season’ remaining, good fishing is anything but over. There are a large number of productive fishing options left and in some instances, it may be the best you have had. 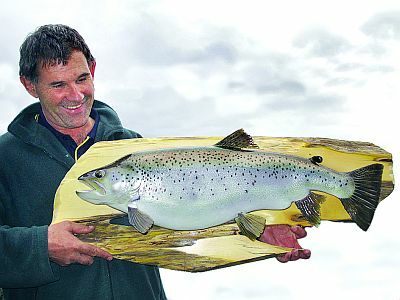 At this time of year brown trout begin to think about spawning. For lake fish this means ‘running’ up inflowing rivers to pair up and let loose. The trigger for this hysteria is rain and the subsequent fresh water. Whenever rain falls in quantities great enough to influence the flow of water into a lake at this time of year, trout sense that it is time for their annual pilgrimage and begin their long vidule. They begin to change colour, becoming darker and more vivid in colouration while congregating in large numbers. By the end of March this year, more than three hundred fish were already in the fish traps in the Liawenee Canal and at the end of March a further 500 ran over the course of two days. This was a direct result of the rain that fell at this time. 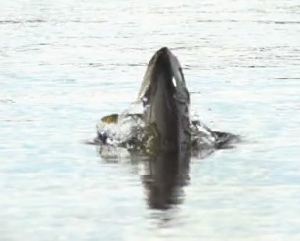 Although most fish move into the rivers at night, they mill around for some time in the bays into which these rivers flow before entering the mouth. This has huge ramifications for the fisherman. Some lakes and places within these lakes are more productive than others. Here are some of my favorite spots to visit in April.